Online marketplace Snapdeal is in talks with domestic rivals Paytm E-Commerce Pvt Ltd and Flipkart for a potential sale, Indian daily business newspaper Mint reported on Wednesday, citing sources. ​\> According to a report in Business Standard, the board of directors, including Kunal Bahl and Rohit Bansal, failed to reach a consensus over the terms of the deal. Further, SoftBank has been looking to push other investors such as Kalaari Capital and Nexus Venture Partners to get their approvals, but wasn’t successful in convincing them. The inability to build its forte in a particular category has also been Snapdeal’s flaw. While Flipkart – in its alliance with Jabong and Myntra – took over 70 percent of online fashion market share, Snapdeal was left with nothing to count on. (Jabong was snatched away from them when they were about to close the deal.) In electronics too, Flipkart’s only competition is Amazon. A Flipkart combined with Snapdeal woud make this new entity a large local player in India. Even more so, as Flipkart has recently started pushing again for preferrable laws for domestic companies. A Flipkart with Snapdeal under its roof would be by far the largest domestic online retailer in India. Calling for a level playing field, Flipkart co-founder Sachin Bansal reiterated his demand for protection against competition from foreign firms. This essentially implies that homegrown firms be governed by easier laws and have better access to capital. Does Flipkart, which is fighting its own battles, have what it takes to take Snapdeal in? The company has raised $1 billion in fresh funding at a valuation of $10 billion, according to YourStory’s sources. Numerous news reports, too, mention this fund raise, but Flipkart itself has not confirmed it yet. Microsoft, eBay, and Tencent Holdings are the new investors. YourStory sources also say that Flipkart is set to raise a further $1 billion as part of this round, but that is contingent on the company merging its operations with eBay India. More than the funding, the merger could have far-reaching implications for not just the companies involved, but for the Indian e-commerce industry overall. Again, the reasoning here behind this is most likely pretty much the same: What does it take to win in the (very attractive) Indian market against Amazon and Alibaba? You need to become big fast. Why not combine big/biggish players then. The more, the merrier. A new entity consisting of Flipkart, Snapdeal and eBay India would be very interesting. On the other hand, this could cripple those firms with internal restructuring processes for years to come as mergers so often (almost always) do. For eBay, a merger of its India operations with that of Flipkart will be seen as a win. 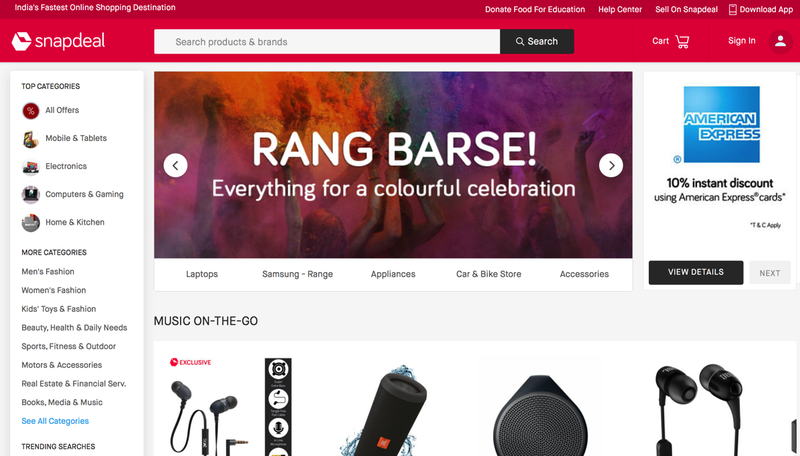 eBay launched in India in 2005, two years before Flipkart’s arrival, a year after it acquired Baazee.com for about $50 million. But eBay was never able to capitalise on this first-mover advantage, with Flipkart, Snapdeal, ShopClues, and Amazon all able to race ahead of the company. The transaction will mean four deep-pocketed, powerful backers for Flipkart: Microsoft, eBay, Tencent and, most notably, SoftBank. The Japanese Internet and telecom conglomerate will hold as much as 15-20% in Flipkart following the merger, fresh capital infusion and secondary share purchase. But Arvind Singhal, chairman and managing director of retail industry consulting firm Technopak, feels it will impart “extra momentum” to Flipkart. “There would be some value (in Snapdeal) in terms of logistics network and distribution centres,” he says. It remains to be seen how much Flipkart shells out for its ailing rival though, he adds. “Another advantage could be getting a competitor out and thus bringing down discounting,” Singhal explains. Ebay invested in Snapdeal in 2013. Amazon is supposedly investing $1 billion per year in India. If true, the most promising development here may be Chinese giant Tencent -next to Microsoft, eBay and SoftBank- joining the fight on behalf of Flipkart. Tencent brings deep pockets and a certain desire to not let its Chinese competitor Alibaba (with Paytm) win in India. It’s like an episode of Game of Thrones at times, isn’t it.